The range of pressure regulators FG100 and FGB100 is used in applications that require very high flow rates, such as in the industrial or commercial sector that require at the same time a very high response speed. This is allowed by the way in which these pressure regulators are designed and built, with their membrane control and spring contrast, they move a balanced piston which acts as an adjustment shutter. In this way they ensure a wide range of adjustment of the outlet pressure even in the face of high input variations. The cast-iron body and the membranes of the FG and FGB pressure regulators are not suitable for use with corrosive gases, but are particularly suitable for methane and LPG. 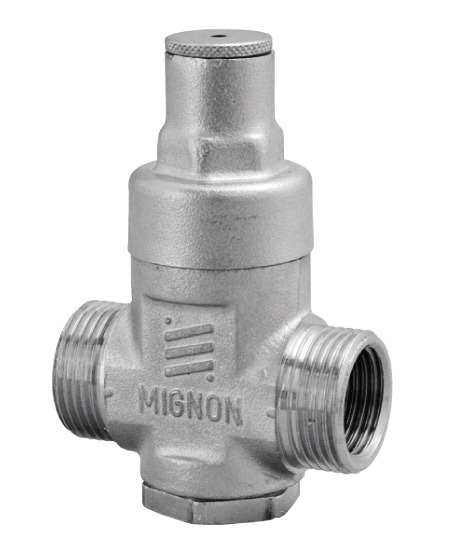 The main characteristics of these pressure regulators are: a compact design that allows their installation even in tight spaces, easy maintenance, without having to remove it from the system, on request also the protection of the maximum and minimum. 28/07/2014 Choose pressure regulators to fit your installation The range of pressure regulators in our catalog enables you to choose the most suitable model.